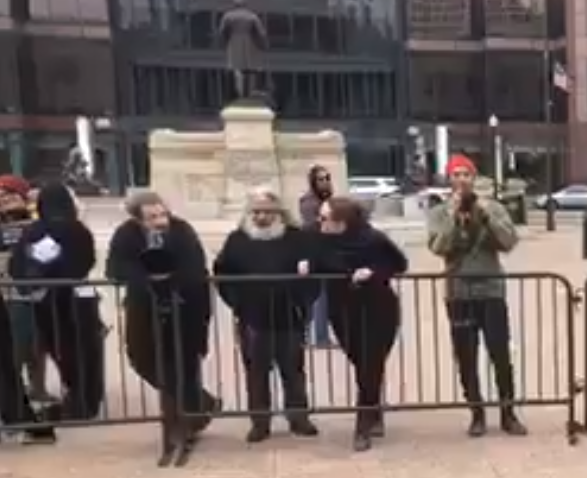 Armed militia groups and pro-gun activists gather for a ”We will not comply” rally against gun control at Ohio’s State Capitol and some are clashing with Antifa! As expected counter protesters did appear. This Rally was the result of a bill that was meant to expand gun rights would have accidentally banned a majority of firearms based on a clerical error according to Cincinnati.com. Lawmakers are working quickly to fix the error. House Bill 228, passed in late December, will force prosecutors to prove a shooter did not act in self-defense to pursue charges. The bill also made several changes to Ohio’s firearm laws. One change would have aligned Ohio law with federal law regarding short-barrel weapons. Federal law allows the sales and Ohio law currently doesn’t. Amid the bill’s many revisions (language that would have allowed shooters to stand their ground was removed), a paragraph was misplaced. The result: some long guns were inadvertently lumped into a banned category. Antifa claims that they are counter protesting some of the groups that are there and not firearm ownership as they claim they own firearms themselves and some of the attending protesters are racist/facist… or something along those lines. Pretty much if you don’t agree with them you’re a racist or facist. Their usual m.o. What was interesting is one Antifa member went on to say that gun laws are typically racist but still called for restrictions on semi automatic firearms. So which is it? Jeremy Deeter and Derrick Evans, Live from the We Will Not Comply Rally in Columbus Ohio! This is a breaking story we will update it as more information becomes available!